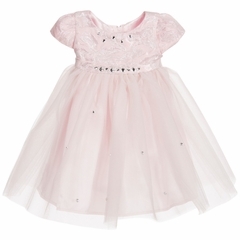 Younger girls pink and silver jacquard dress with tulle skirt by Kate Mack & Biscotti. 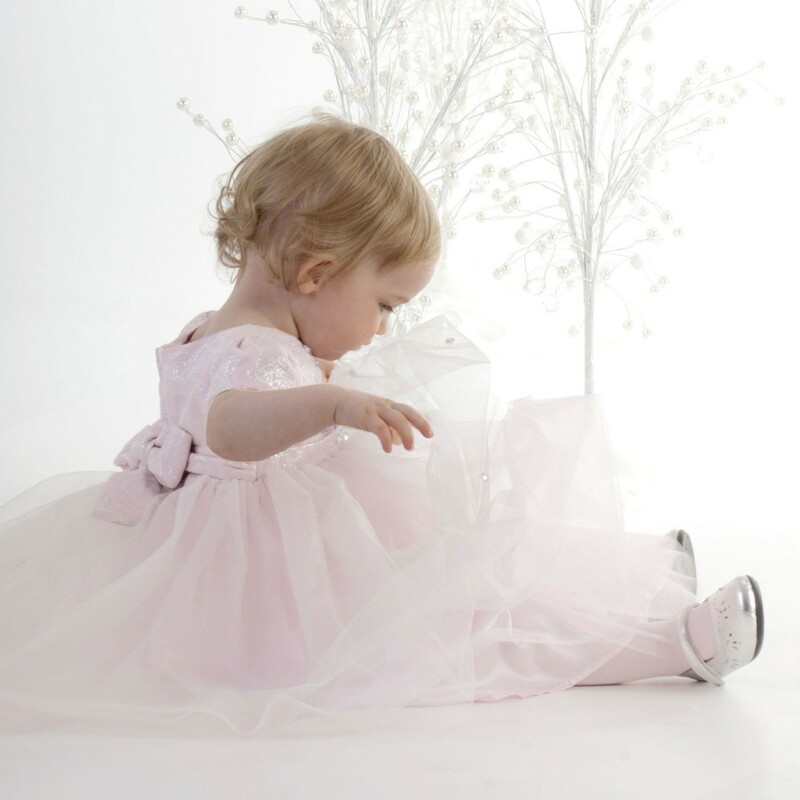 The bodice is short-sleeved and threaded with metallic silver and has jewel beading around the neckline and waist, with a tulle net skirt embroidered with diamanté. It fastens at the back with a zip and has jacquard ribbons that tie in a bow and it is fully lined in silky satin.